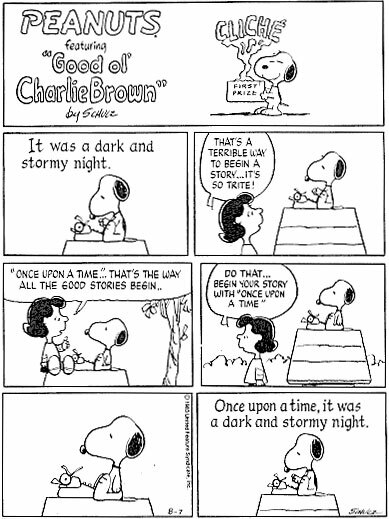 Why is Snoopy working so hard on the first line of his book? Is it really that important? Like Snoopy, writers trying to break into the publishing industry are acutely aware about the significance of an extraordinary beginning to their story. Literary agents receive between 100-to-200 query letters per week from debut authors seeking their representation. Most agents sign-on between two and ten new clients each year, and the vast majority of publishers won’t look at an author’s book without that agent. Yup! It’s competitive in the book world. That’s why a writer has to grab an agent’s attention with the first line. Talk about pressure. 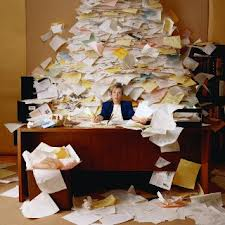 You could have written the next Gone with the Wind, but without a sizzling opening a potential bestseller could be tossed in a slush pile. The first thing that came to mind about these beginnings is originality. I haven’t read lines like this before, so I’m assuming the author is creative. The second thing is I find myself asking why. Why does the man (Nick) in Gone Girl think of his wife’s head when he first looks at her? Why did Cheryl Strayed’s trek have many beginnings? Why is Molly in foster care and what are her foster parents saying? Why did the letter change everything for Harold Fry? These authors have enticed me to move on to line two. Hopefully, the intrigue will continue to the end (and it did for me in all of the above books). “In a bar in Toledo, across from the depot, on a bar stool she took off her ring.” from Lucille by Kenny Rogers. “Fifteen minutes left to throw me together for Mr. Right Now, not Mr. Forever.” from Settlin’ by Surgarland. “I’m on the side of the road with a car that won’t go and the night won’t even give me a moon.” Brokedown Cadillac by Brokedown Cadillac. If those lines were written at the start of a book, I’d be instantly hooked. Instead of Lucy telling Snoopy to begin with Once upon a time, she should have advised him to turn on the radio. Lots of powerful examples are just a song away. What are some of your favorite opening lines from either a book or a song? Did the remainder of the story live up to the expectation? Categories: Uncategorized | Tags: authors, fiction writers, writers | Permalink. What a great post! Of course, we’ve heard some of these things before, but love your examples. Michelle Johnson is very clear about what she looks for when she reads those opening sentences.